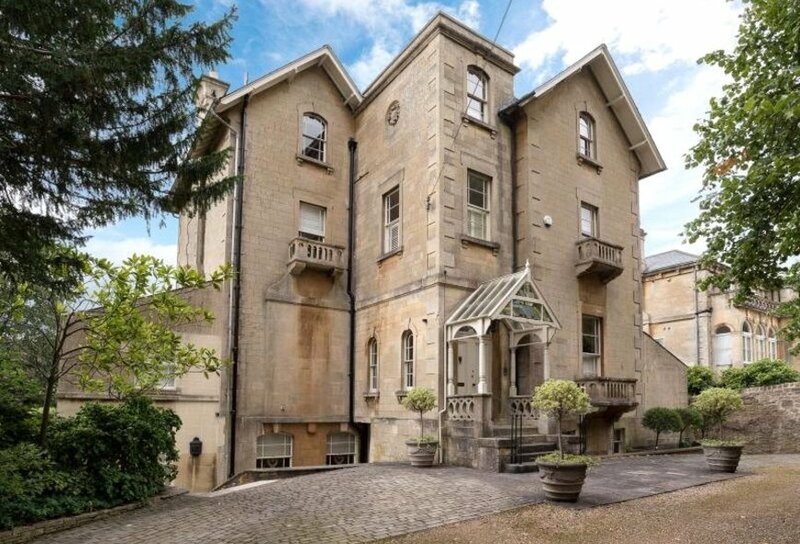 Warberry Lodge is a fine example of a detached Italianate Victorian townhouse, built circa 1852 in the style of Goodrich. 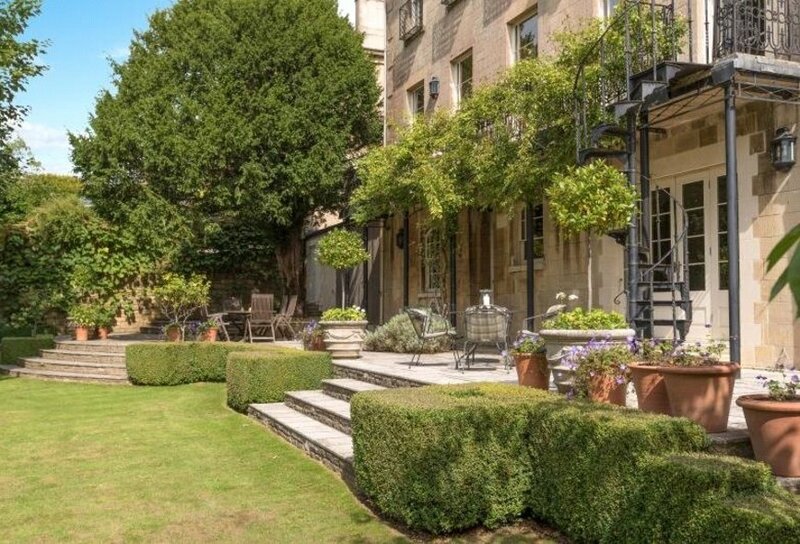 Situated in beautiful gardens and grounds, the property benefits from magnificent views to the rear over Bath and the countryside beyond. 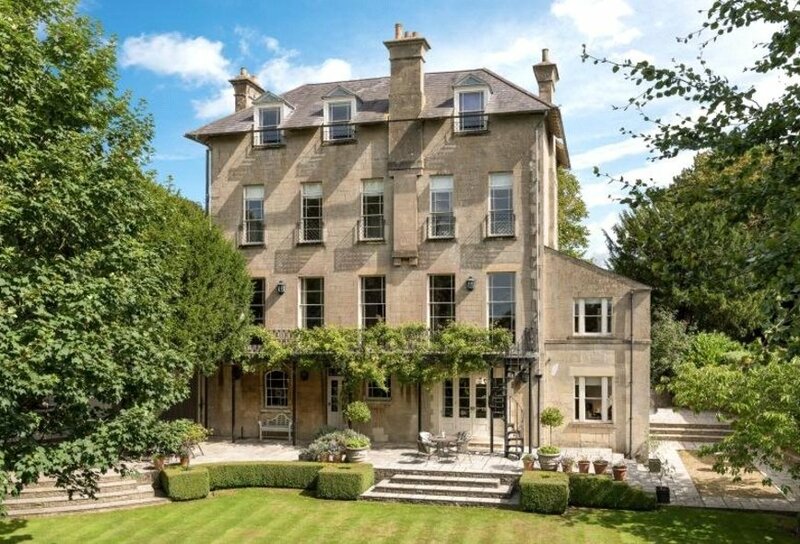 This robust family home is built with stone elevations beneath a tiled roof and offers in excess of 5,800 square feet of accommodation arranged over four floors. 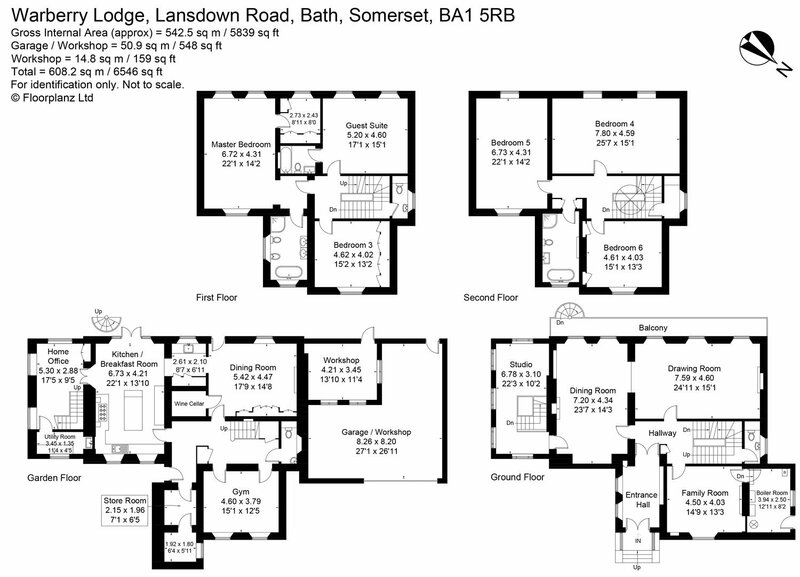 The layout is ideal for families with living space over the ground and gardens floors and bedrooms and bathrooms to the upper floors. 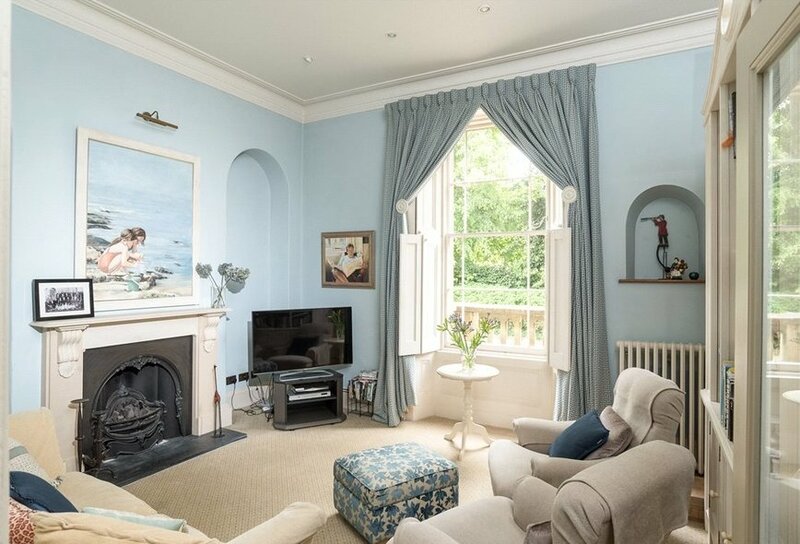 The property enjoys the benefit of a large and welcoming entrance hall with double doors leading through to the inner hallway with its impressive central staircase and atrium canopy rooflight. 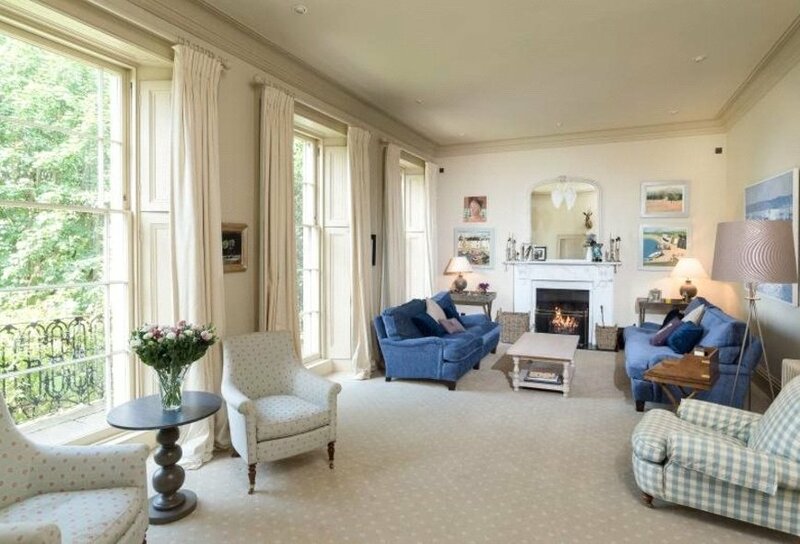 There is a drawing room with three tall sash windows, each allowing access to the wide balcony with impressive views and access via a spiral staircase to the garden. 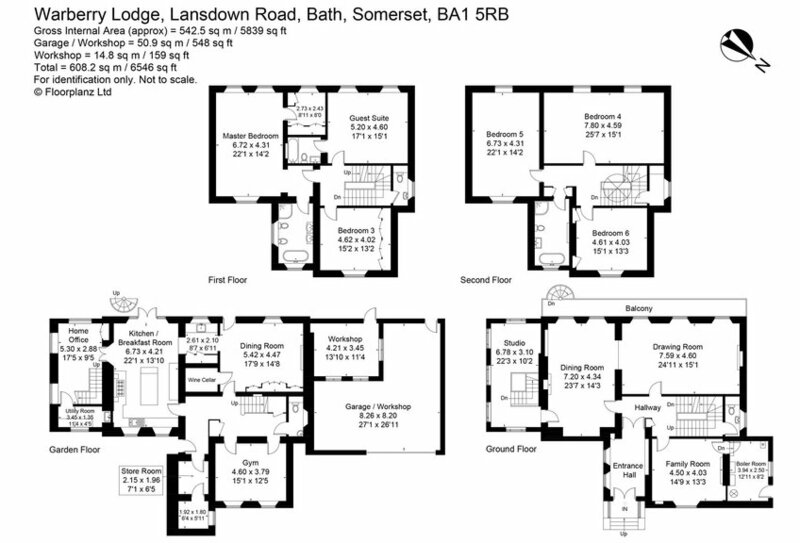 Additionally there is a feature fireplace, tall corniced ceiling and recessed double doors through to the dining room. 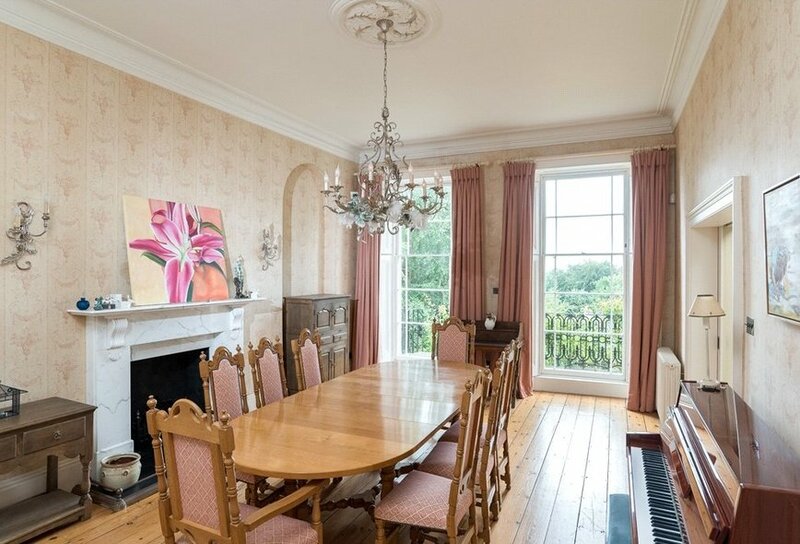 The dining room boasts a stripped wooden floor, feature fireplace and tall sash windows leading to the balcony. 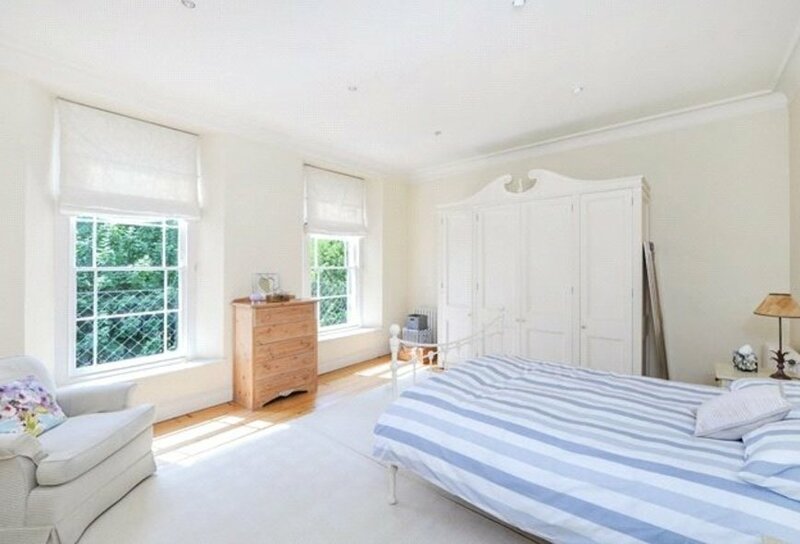 A door to the rear of this room leads to the studio with its triple aspect offering wonderful levels of natural light. 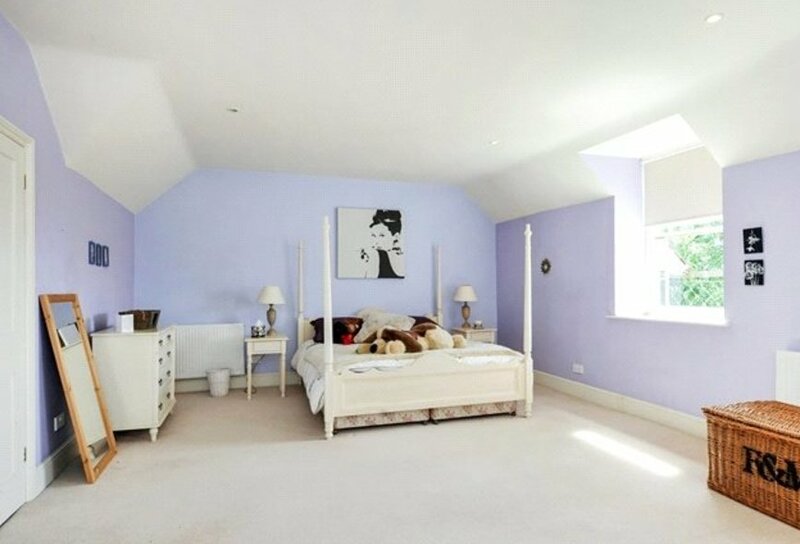 Also off the hallway is a family room with feature fireplace and access to the boiler room. 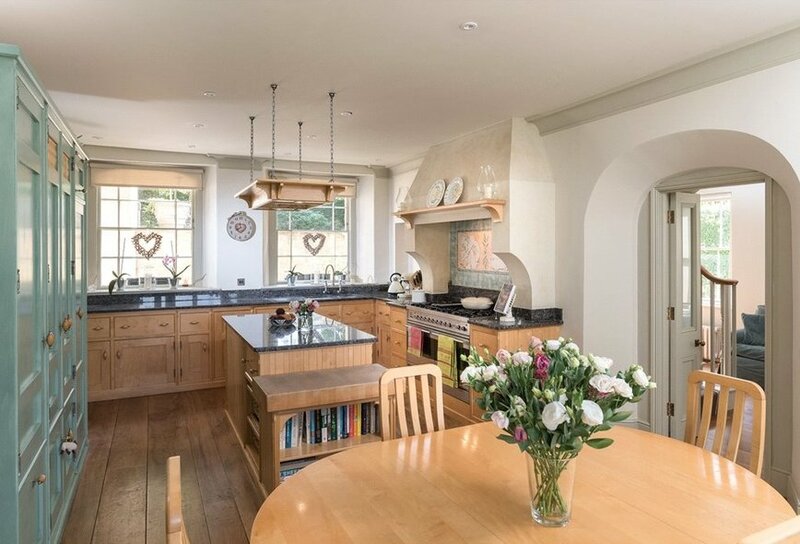 On the garden level is a kitchen/breakfast room complete with a range of bespoke hand built cupboards and drawers complemented by granite work surfaces and an island unit. 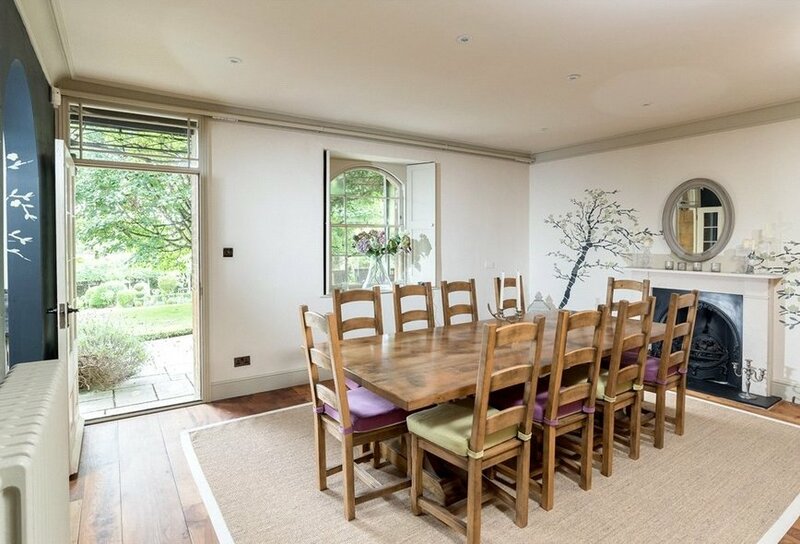 There is also a further less formal dining room with wine store, gym, store rooms and home office/study which has a utility room leading off and a secondary staircase leading back up to the studio. 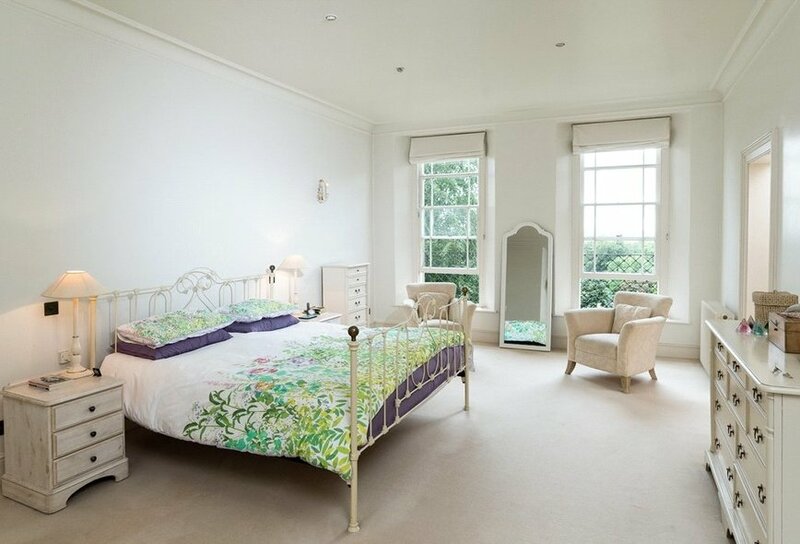 To the upper floors are the master bedroom with its stylish en suite bathroom complete with separate shower and separate dressing room, a guest bedroom with en suite bathroom, four further double bedrooms and a family bathroom. 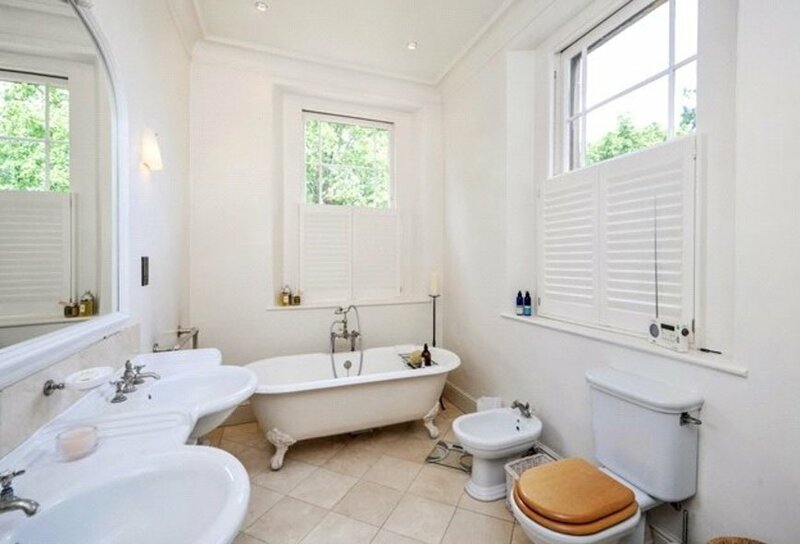 There are cloakrooms to the half landings and at garden level and a large linen cupboard to the upper floor. 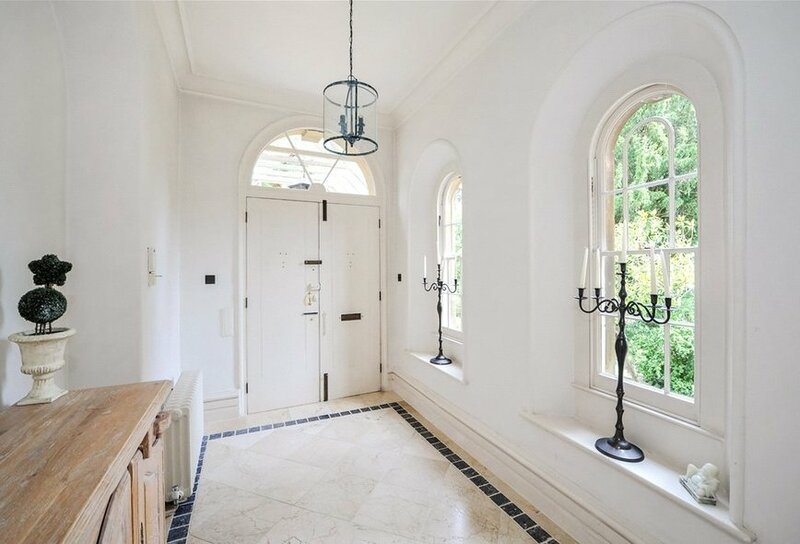 The property is accessed via a stone pillared entrance, which in turn leads to a large gravel driveway and parking area. This also leads to a double garage with electric up and over door. A secondary driveway leads to gates at the side of the house as well as providing access to a neighbouring property. The front grounds are private and enclosed with established raised beds. The private rear gardens offer a large lawned area surrounded by established flowerbeds and specimen trees. 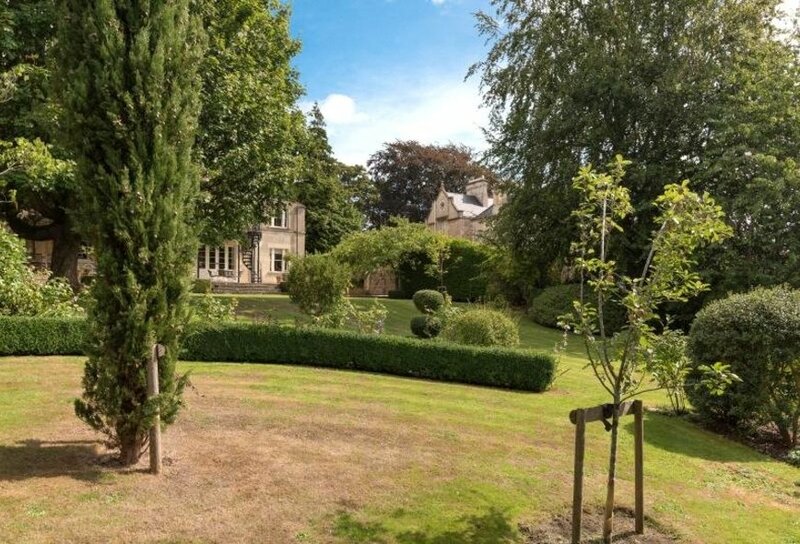 There are beautiful box hedges, pleached lime trees, a magnificent yew tree and wonderful climbing roses. 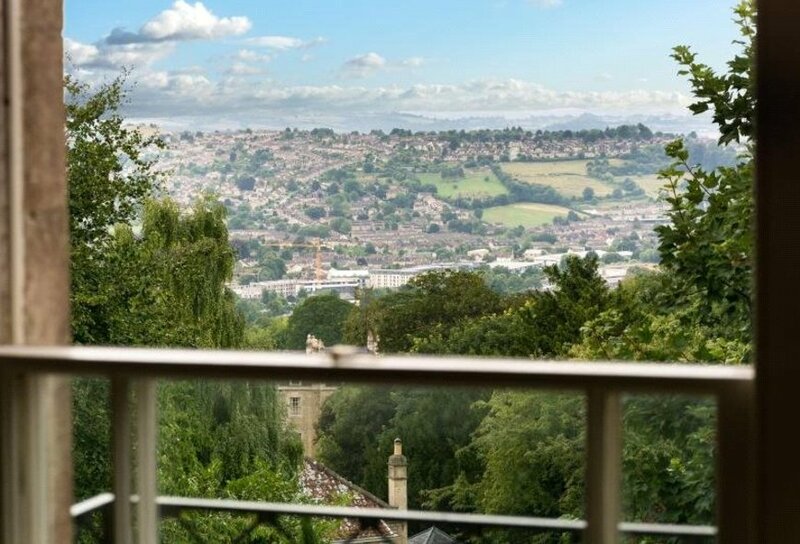 Immediately leading off the kitchen is a large, south-westerly facing flagstone terrace with views over Bath and the surrounding countryside, ideal for al fresco dining. From the garden there is a large and useful storage room/garden workshop and steps up to the garage. Additionally, at the rear, a pair of wooden gates provides access to a hardstanding to the side of the drive, which is a good space for a trailer or small vehicle.